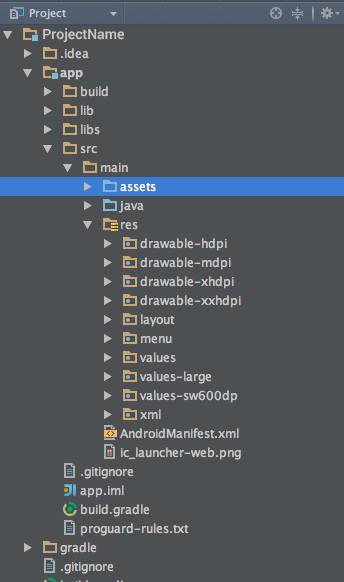 If you are having problems with asset files not being included in your compiled apk file, it may be because your assets folder is placed in the wrong directory. Place all your assets inside, and the files should now get included in the build! Also see the Gradle User guide Project structure section.